As of December, 2017 we have had 14 of our dialysis patients successfully have kidney transplants in Abuja(Six) and India(Eight). Our first dialysis patient got her transplant in March 2014 and is doing great to this time. KidneySolutions does not provide donors or donor kidneys to patients seeking to undergo a kidney transplant but can evaluate a donor to ensure the best possible outcome for the patient and donor. After a kidney transplant, the patient will require continued medical attention and follow up to ensure that the transplanted kidney functions properly and lasts as long as possible. 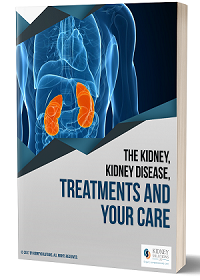 KidneySolutions can provide the necessary professional follow up and help patients with issues related to their care and medication. Copyright 2017 © Kidney-Solutions LTD. All rights reserved.